Summary: The question of ‘Should I Breed My Dog’ should not be taken lightly. Breeding your dog has many consequences that you perhaps have not thought about. To be a good, responsible dog breeder you have a lot of work and planning to do. Does my dog have great characteristics that should be passed along? Does my dog have an outstanding pedigree? Do I want to deal with all the possibilities and problems of puppies? Do I have the time and money it will take? 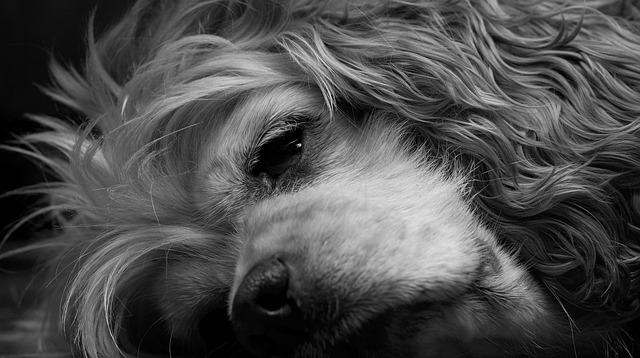 How would you feel if you lost your dog due to pregnancy complications? Can you keep your dog isolated from other male dogs to avoid producing undesirably bred offspring? Are you willing to spend money to have proper tests done on your dog to rule out possibly spreading defects through your dog’s offspring? Are you willing to spend a great deal of time trying to find good homes for your puppies? Can you handle the messes and smells that come with whelping a litter of puppies and raising them properly? Quite a few books have been written on the subject of ‘dog breeding’. We’ve listed our favorite book about dog breeding titled Canine Reproduction and Whelping: A Dog Breeder’s Guide by Myra Savant Harris R.N. Reading a book and doing research online are great places to begin your process if you feel it is right for you. Both the male and female should be certified clear of inherited diseases such as hip dysphasia, eye and skin diseases. Both must be free of parasites. Both need to have up-to-date vaccinations. This alone could easily cost you hundreds of dollars. Most of the costs will be the responsibility of the females owner. Stud fees can be anywhere from several hundred to several thousand dollars. Can you find the right male close by or will you have to travel or ship your female off to be bred? If your female needs to be shipped, she will need a health certificate and a travel crate. Do you have enough money for emergencies such as an emergency c-section? Your dog will need special, high quality food while she is pregnant and nursing. She will also eat more than usual. If the litter is too large or she has difficulties nursing them all you may have to hand feed and raise them yourself. This is a substantial time requirement in breeding your dog. Some dog breeds require dewclaws removed and tails docked. These are generally paid for by the owner of the puppies along with vaccinations and health check-ups. A litter of puppies is cute but also extremely messy. You’ll will need to be there in case of trouble to help whelp the puppies. What if you can’t sell the puppies, ask yourself Should I Breed My Dog? You are responsible also for some puppies that may be returned to you. There are millions of unwanted puppies and dogs flooding animal shelters across the United States. Some of them have health problems, some have personality problems because they were not taken care of when they were young, and some are just not wanted any longer. They have out-grown their cuteness.